Ductless mini split systems have become increasingly popular in homes throughout the country in recent years, and rightfully so. 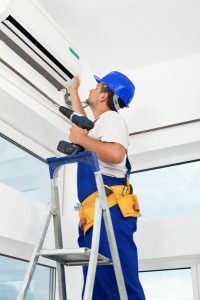 Instead of operating through a network of ductwork conned to an indoor air handler and evaporator unit, ductless systems use a small outdoor unit connected by refrigerant and conduit lines to multiple small wall-mounted air handlers throughout the home. 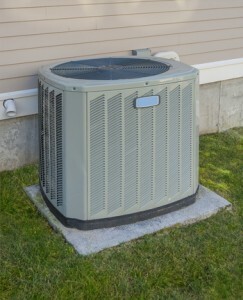 If you are a typical homeowner, you don’t understand what each and every component within your air conditioner does. And that’s okay, you don’t need to. After all, that’s what our team is here for. However, it is wise to have an idea of how their AC system works to cool their home, to both understand when and why you might need repairs, as well as to understand the need for routine preventive maintenance. What If Your AC Won’t Stop Running? Obviously, when your air conditioner won’t turn on, this is a problem that needs to be dealt with right away. What if you turn on your air conditioner though, and it doesn’t stop running? This may not seem like a serious issue when it’s as hot as it is in Florida, however this could poorly impact your air conditioner more than you might realize. Posted in Air Conditioning | Comments Off on What If Your AC Won’t Stop Running? Are Your Thermostat Practices Encouraging Air Conditioner Efficiency? Let’s say you’ve just come home after a particularly warm day, and your home’s temperature offers no relief from the heat and humidity outside. Your natural reaction may be to go to your thermostat and turn the thermostat down to as cold as you can bear. Posted in Air Conditioning | Comments Off on Are Your Thermostat Practices Encouraging Air Conditioner Efficiency?